The Model 725-87 cruises under a full moon. In 1955 the US Air Force issued System Requirement No. 22 for Weapon System (WS) 110A, a chemically powered bomber to succeed the B-52 in SAC service from 1963. 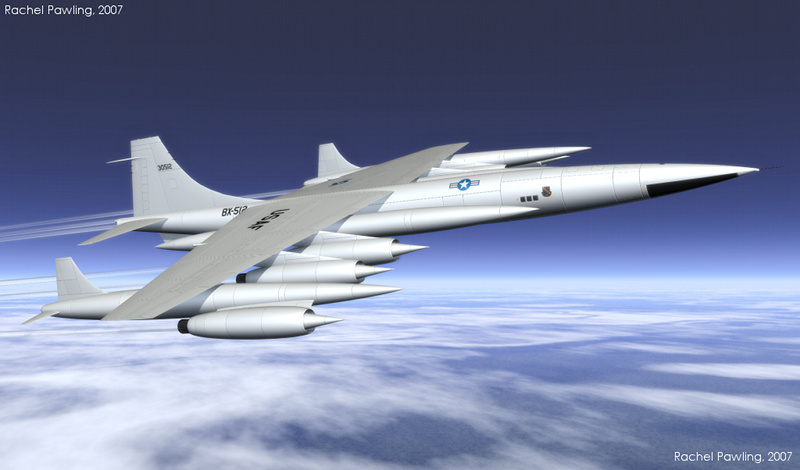 This aircraft was to be able to deliver thermonuclear weapons to targets within the Soviet Union from bases in the continental US. The weapons were to be free-fall bombs or a 300+ nautical mile range cruise missile. The bomber itself was to have an un-refuelled radius of more than 4000 nautical miles, with a subsonic cruise and high supersonic dash over the target. Both Boeing and North American Aviation studied various designs to meet this requirement. 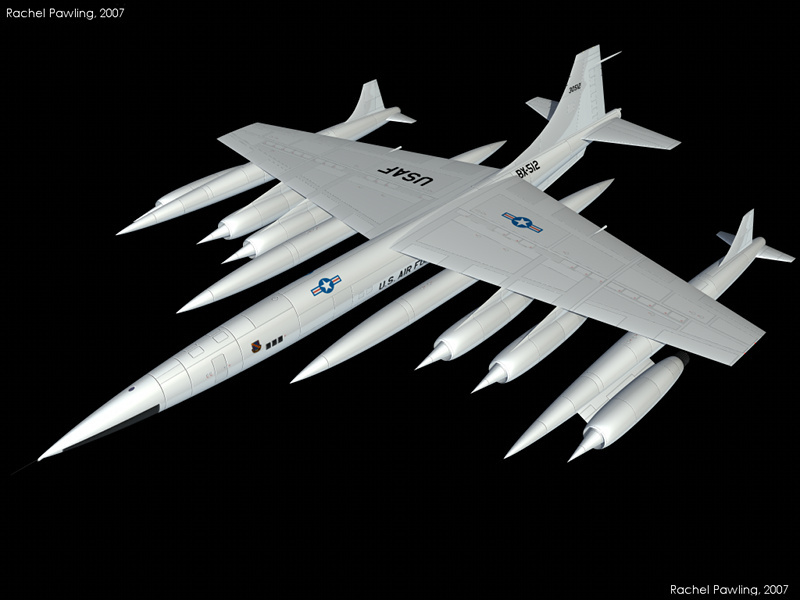 The winning North American proposal was ultimately developed into the XB-70 Valkyrie, which flew in prototype form in 1964. The Boeing configurations ranged from 16-engined developments of the B-52 to trapezoidal and delta winged machines. A more radical concept developed by Boeing but used by both competitors was the "floating panel". In this arrangement, the outer wings of the aircraft, with their own fuel pods, undercarriage and even engines, acted as sub-craft and were free to rotate in flight to eliminate loads on the central airframe. After the subsonic cruise section of the flight, these outer panels would be jettisoned and the bomber would accelerate to supersonic speeds for the attack. Although the use of large jettisonable pods had been demonstrated on the Convair B-58 Hustler, the idea was not carried forward and the final designs presented by North American and Boeing were monolithic bombers. This page presents impressions and brief summaries of some of the Boeing designs. The in-page images are reduced resolution files. Clicking on the images will open higher resolution images, typically 1024 by 768 pixels and 400kb. The Model 725-87 composite bomber design, featuring floating panels with fuel pods, engines and landing gear. Overall length of the Model 725-87 was 165 feet and overall wingspan was 131 feet.